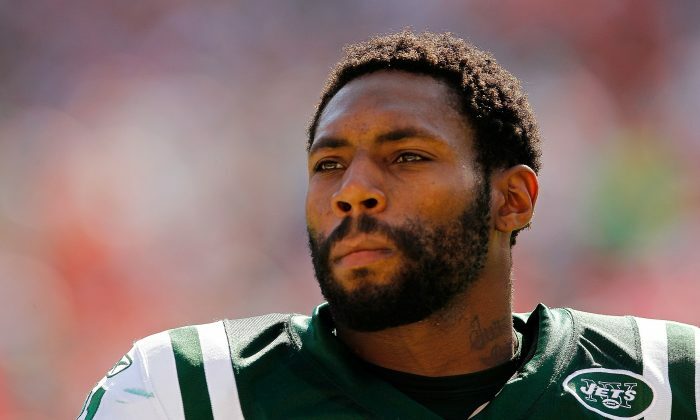 The New York Jets have released cornerback Antonio Cromartie, according to a report on the team’s website. They also confirmed the news via twitter. Cromartie, a ten-year veteran, was with the team from 2010–13 and then came back in 2015 after spending the year in between with the Arizona Cardinals. Teammates weighed in on social media to bid him farewell. The move is partly a cost-cutting measure and was hardly a surprise—especially since his 2016 salary of $8 million was non-guaranteed. The Jets will save that $8 million against the salary cap by releasing him and his release leaves no dead cap space on the books for the 2016 season. The money will likely be used to re-sign quarterback Ryan Fitzpatrick and possibly running backs Chris Ivory and Bilal Powell. The 31-year-old Cromartie actually led the team with 16 passes defended this past season. However, Pro Football Focus gave the four-time Pro Bowler a negative grade and ranked him 103rd out of 118 cornerbacks. The team will likely replace him with Marcus Williams or possibly former first-round pick Dee Milliner. Williams, 24, just finished his second season in the league after going undrafted out of North Dakota State. He played in 13 games in 2015 and totaled 6 interceptions after splitting the 2014 season between the Jets and Houston. Milliner, also 24, was the team’s first round pick in 2013 (9th overall) out of Alabama. He had a strong end to his rookie season, winning the AFC Defensive Player of the Week in Week 17 that year. But injuries (Achilles’ tear in 2014 and torn wrist tendon in 2015) have kept him off the field most of the last two seasons. Meanwhile the team is expected to re-sign Fitzpatrick who would likely see a significant raise from his $3.25 million salary.